1783-1848. He was the son of Captain John Nicholson Inglefield and his wife, Ann Smith, and was born at Singlewell, near Gravesend in Kent. His parents separated after his mother’s well-publicised but alleged adultery with an African servant that resulted in a trial before an ecclesiastical court in July 1785. On 8 September 1791 Inglefield entered the service aboard his father’s pennant ship Medusa 50, seeing service off Africa, and at the end of 1782 he moved with his father to the Aigle 40, which went out to the Mediterranean in the following spring following the commencement of hostilities with France. After a brief spell on Vice-Admiral Lord Hood’s flagship Victory 100, Captain John Knight, he transferred to the Aimable 32, Captain Sir Harry Burrard, and in this vessel he served in the Corsican campaign from February 1794 and at the capture of the corvette Moselle on 23 May. Further employment in the Mediterranean followed aboard the Southampton 32, Captain Edward O’Bryen, and Cumberland 74, Captain Bartholomew Rowley, and after another stint in the Aigle he joined the Zealous 74, both these latter vessels being commanded by Captain Sam Hood. After participating in the Santa Cruz expedition in July 1797, Inglefield was commissioned lieutenant with seniority from 26 July 1798 and given command of the gun-boat Spitfire, in which he engaged the Spanish gunboats at Algeciras on a regular basis. In December he was appointed lieutenant of the Theseus 74, Captain Ralph Willett Miller, which was present at the defence of Acre from March to May 1799. Here he enhanced a reputation for dashing gallantry by leading an unsuccessful attempt to cut out four lighters carrying supplies for the French army, and then commanding a number of more successful boat attacks off Egypt which culminated in the capture by the Theseus’ barge of a French settee carrying four cannon and twenty soldiers over an above her normal crew. 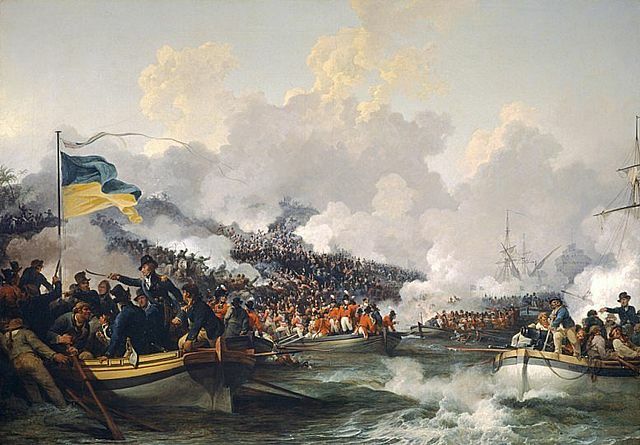 Remaining in the Mediterranean, he served as flag-lieutenant to both Rear-Admiral Sir Richard Bickerton and Admiral Lord Keith, and in 1801 he was awarded the Turkish gold medal for his exploits in the Egyptian campaign which had opened on 8 March. In his nineteenth year Inglefield was meritoriously promoted commander on 29 April 1802, and on 16 September he was appointed to the Hunter 18, which he would retain for almost five years, and in which he took despatches announcing the re-commencement of hostilities with France on 16 May 1803 out to Jamaica. In August he destroyed the British sloop Mutine 18 after she had driven aground on Cuba, and he proceeded to capture a host of small privateers over the next four years in the Caribbean as well as taking the Spanish Piedad, pierced for twenty-four cannon, a score of enemy merchant vessels, and effecting the rescue of an American brig which had been taken by the French and placed under the guns of a battery in Lagoon Harbour near Baracoa, Cuba. Amongst his captures were the French Liberté on 10 June 1804, the Spanish Santa Rosa 3 in 1805, the San Josef y Animas on 21 September 1806, the Isabella 3 on 25 January 1807, and the Espérance on 28 July. In August 1807 Inglefield was appointed to the Bacchante 22, and he was posted captain of this vessel with seniority from 6 October. Further captures followed off Jamaica and Cuba, including the Spanish privateer Amor de la Patria on 13 September 1807, although the most significant was the French brig Griffon 16 on 11 May 1808 off Cape San Antonio after her brave defence. By the autumn of 1808 he had transferred to the Daedalus 32, and still serving on the Jamaican station he assisted Captain Charles Dashwood of the Franchise 36 in destroying the pirate stronghold at Samana during December. Inglefield also had the good fortune to fall in with a Haitian force led by the renegade Englishman ‘Admiral’ Goodall which consisted of the Lord Mulgrave 22, two brigs carrying 18 and 16 guns respectively, and three schooners, and after forcing the surrender of them all he conducted them to Jamaica from whence Goodall was returned to England, only to be later released from custody and given the command of a post office packet. On 3 August 1809 the Daedalus was dismasted in a hurricane, and after struggling to reach Jamaica she remained there for four months before, in the summer of 1810, she escorted the trade home to be paid off at Sheerness in September. On 28 October 1811 Inglefield became flag-captain to his brother-in-law, Rear-Admiral Benjamin Hallowell, aboard the Malta 80, which he commissioned at Plymouth in the admiral’s absence and took out to the Mediterranean at the beginning of the following year in company with the Edinburgh 74, Captain Robert Rolles. In June 1813 he superintended the landing of troops at the investment of Tarragona, and he led five hundred seamen in setting up the breaching batteries before taking command of the gun-vessels battering the French installations. Upon the successful conclusion of the siege he led the dismantling of the French defences and the re-embarkation of troops and stores, and he then removed from the Malta in January 1815 to attend the court-martial of Lieutenant-General Sir John Murray which examined that officer’s failings at Tarragona. Inglefield was the son, father and grandfather of senior naval officers. This photograph is of his son, Edward Augustus Inglefield. After a decade of unemployment following the peace Inglefield was appointed flag-captain to Rear-Admiral Sir Robert Otway on 1 March 1826 aboard the Ganges 84 off South America. Two years later he led the marines of the squadron in defending the person of Emperor Don Pedro in the face of a mutiny by his foreign mercenaries. The Ganges returned to England and was paid off in September 1829. Inglefield was nominated a C.B. on 18 April 1839, and on 23 November 1841 was promoted rear-admiral. On 5 March 1845 he was appointed commander-in-chief of the relatively new South East Coast, South American station with his flag aboard the Eagle 50, Captain George Martin, prior to removing it to the Vernon 50, Captain John Fitzgerald. In this capacity he somewhat exceeded his orders by involving his force in the defence of Montevideo against Argentine insurgents. In June 1846 he was transferred to the command of the East Indies station, but he died at Bombay on 24 February 1848. Inglefield married Priscilla, the daughter of Vice-Admiral William Albany Otway, on 21 October 1816, and she died on 18 June 1844 having had issue one daughter, who was married to an officer of the Madras Engineers, and six sons. 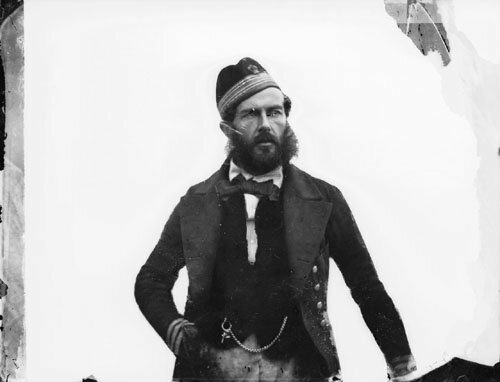 The eldest son, Edward Augustus Inglefield, was born in March 1820, entered the navy in 1832, and eventually rose to the rank of admiral, having undertaken a search of the missing John Franklin Expedition in the Canadian Arctic. Samuel Hood Inglefield was the brother-in-law of Admiral Sir Benjamin Hallowell and of Captain Henry Whitby.